Sport hotel in Eisacktal with modern sports facilities, wellness area, excellent cuisine & countless activities at any season in the environs. Welcome to Sporthotel Zoll**** in Sterzing! 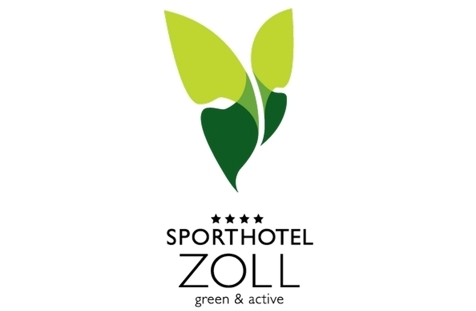 Sporthotel Zoll green & active is a family-run house in Sterzing. As pre-certified KlimaHotel, we use local resources for efficient and ecological energy generation. By realising our “Sporthotel green & active” concept, we have for instance built new sports facilities and amplified our activity and fitness offer over the past years. For our guests, we offer comfortable rooms in various sizes as well as newly designed apartments with kitchen, balcony, two bathrooms and two bedrooms that are ideal for families. Our small guests will also look forward to a playground and playroom in the hotel. The culinary offer is oriented towards the traditional South Tyrolean cuisine, yet it includes vital dishes and light Italian delicacies. As well, we use regional and biological products according to the season as well as vegetables and herbs from our garden. Every morning, we spoil you with a rich breakfast buffet. For your active holidays at Sporthotel Zoll, we offer an indoor climbing wall with boulder area, a fitness room with modern equipment and professional assistance, tennis, beach volleyball and minigolf in the outdoor area as well as a weekly sports and entertainment programme. The wellness area with indoor and outdoor pool, various saunas, whirlpool and relaxation rea is perfect for relaxing. On request and against payment, it is possible to book rehabilitation treatments, massages and various baths. 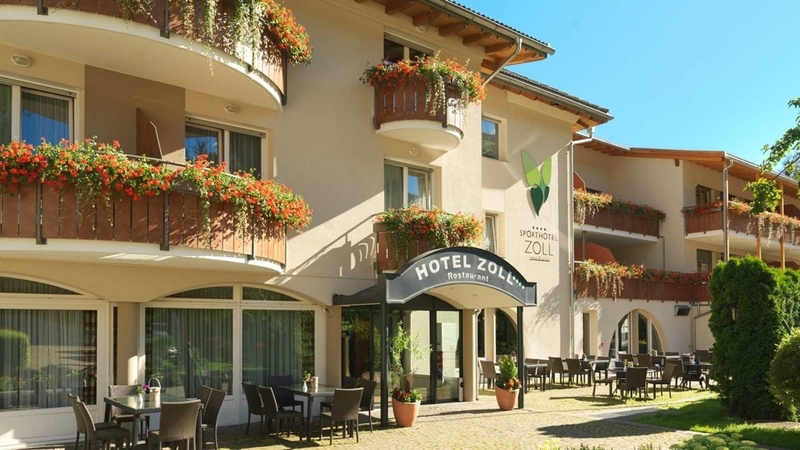 The environs of Sporthotel Zoll in Sterzing offer countless activities for nature lovers and sports enthusiasts. In summer, you will look forward to dreamlike hikes, unforgettable tours with our mountain bikes and e-bikes as well as wonderful motorcycle rides. Other famous sports are climbing at Skytrek high-rope course in Sterzing, golf, rafting and horse riding. In winter, skiing lovers appreciate perfect slopes and a tobogganing run at Rosskopf skiing area, wonderful cross-country ski runs in Ridnaun, Pfitsch and Pflersch and much more. The rooms Deluxe "Weißspitz" are big, comforatble rooms which are adequate for families. They are furnished with solid wood and partially equipped with a canopy bed. Equipment: LCD TV, Internet Wi-Fi, Phone, Safe, Bathroom, Balcony For 2 - 4 people. For a comfortable holiday with a lot of living space: 2 bed rooms, kitchenette, working area with wifi, 2 bathrooms and a balcony. Make use of the hotel services and enjoy the advantages of an apartment. You can choose if you want to cook by yourselves or if you prefer to try South Tyrolean and Italian specialitites at our restaurant.